Fred Reed introduced the guests and visiting Rotarians. Denise Lefever from the Nampa Rotary Club. James Slover introduced Steve Popish. He is a retired small animal veterinarian and past president of the Casper Wyoming Rotary. Kevin Learned introduced Shelly Lupher, a marketing consultant. Todd Fisher introduced Tammy Johnson, CEO of Life’s Kitchen, and Jane Miceli, an architect at Micron. Her husband is a chemistry teacher in Meridian. Rourke introduced his wife, Sayoko Kuwakara. Dwight Pond introduced Marla and Dustin Johnson, who worked with Dwight at Supervalue. Marla is in a new job as project manager and Dustin is with Silvercreek Realty. Jake Black (Bea’s son) from Lost Grove. Jake Talbot and Cody Connolly from RAM. Josh Letsinger and Melissa Morales from Boise Brewing. Tyson Cardon and Todd Marshall with Sockeye Brewing. Marcos Moss and Rod with Bella Brewing. Our club’s team to Mexico is back and Dirk insists on being called “El Presidente” from now on. 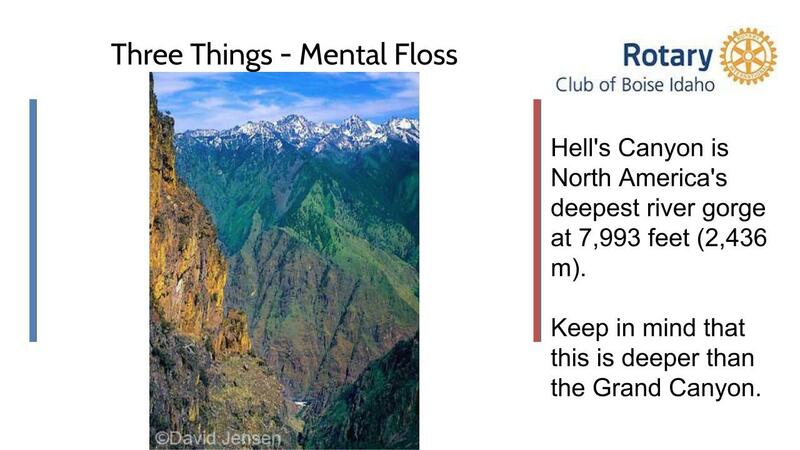 Hell’s Canyon is the deepest gorge in the United States, located in Idaho. 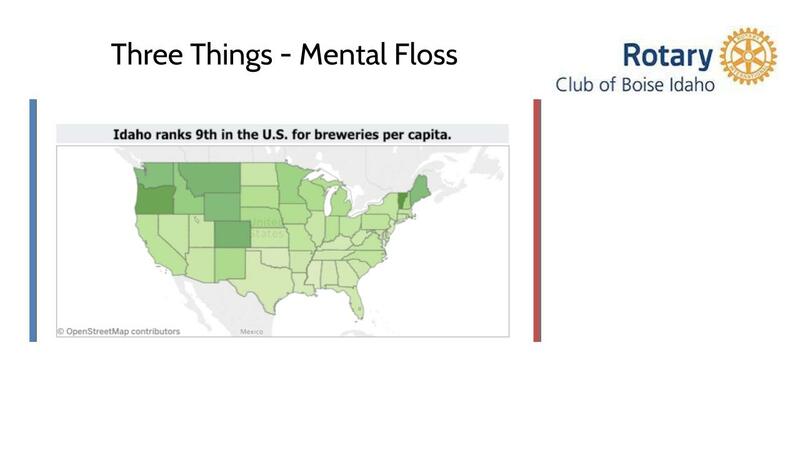 Idaho ranks 9th in breweries per capita (60 breweries in Idaho). 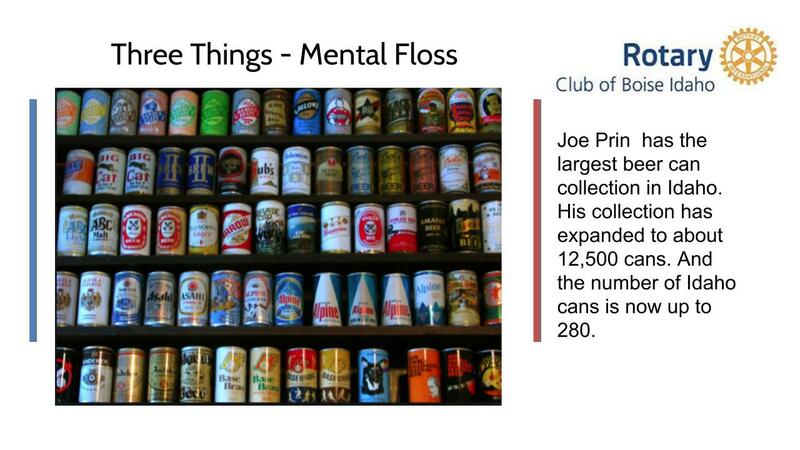 Joe Prin has the largest beer can collection in Idaho – 12500 cans, 280 of which are from Idaho breweries. 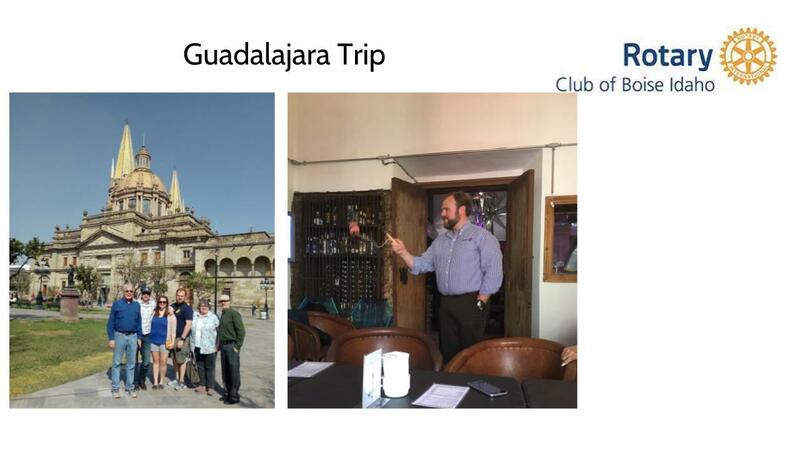 Dirk Manley, Kevin Learned, Scott Learned, Marianne Barker, and Meaghan Pryde were in Guadalajara, Mexico from January 20 to 23, 2019 as guests of the Rotary Club of Guadalajara. Our club was there in 2002 and visited a deaf and blind school to purchase microphones that the teachers could wear to connect to ear pieces for the students. 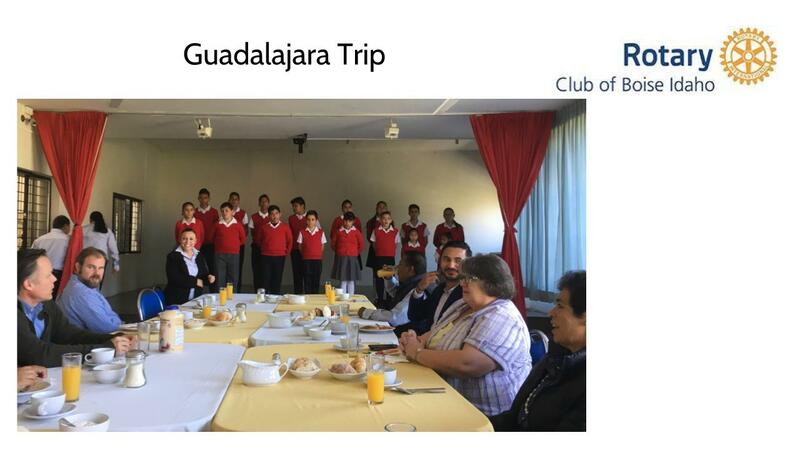 The group visited the school on this trip to see the progress the school and its students are making. While there, the school’s choir of deaf and blind students sang several songs for us. The team also visited a university known as the MIT of Mexico. 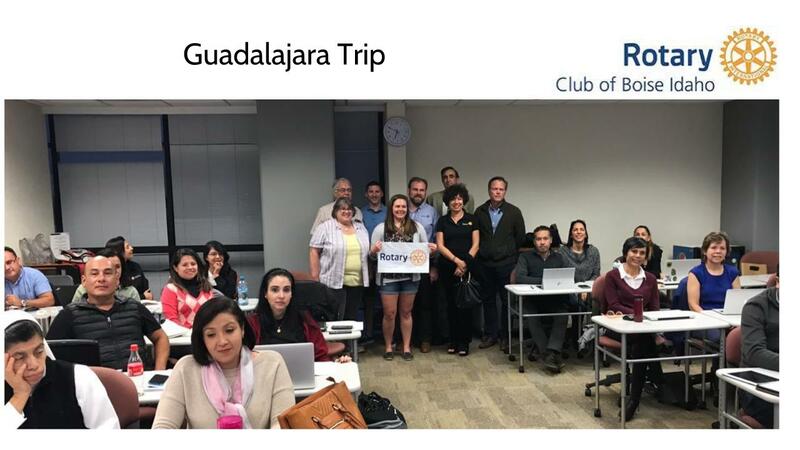 A Rotarian from the Guadalajara club has created a new program to train leaders of non-profits on business management. The course is free – the only commitment is to show up 85% of the time. 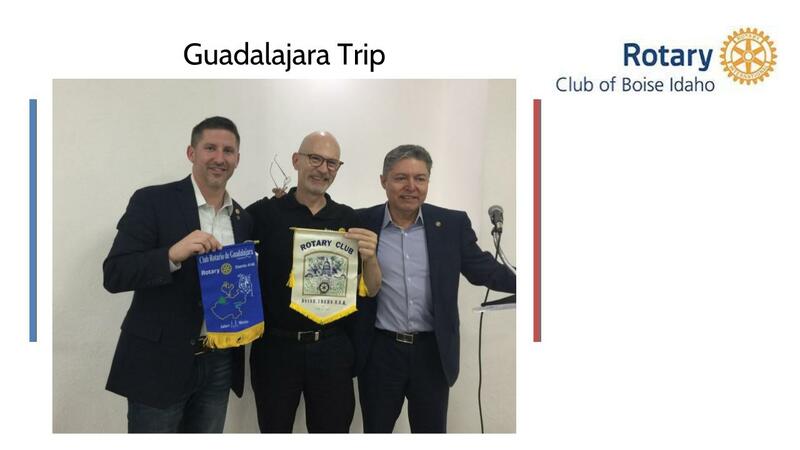 The local Rotarian is hoping to expand the program throughout Mexico, and Central and Latin America. The team also visited a lake near Guadalajara, which is extremely polluted. The local club is considering putting aerators in the lake or to help remediate the lake. 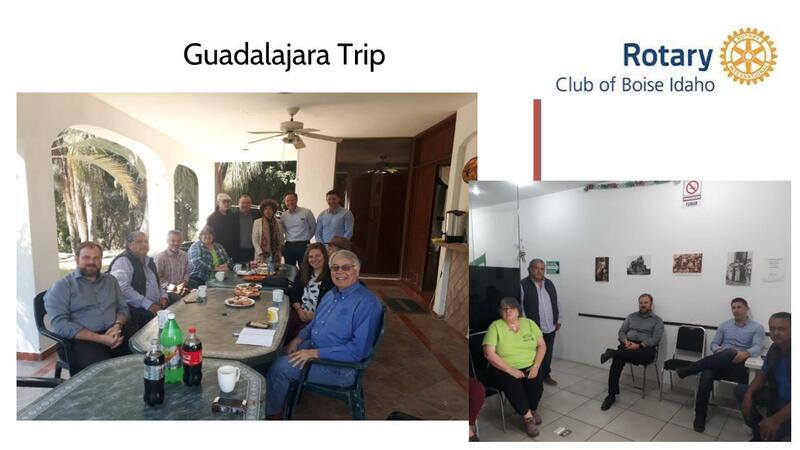 While in Mexico, the team stayed with local Rotarians in their homes and were welcomed with open arms by our nuevos amigos mexicanos. 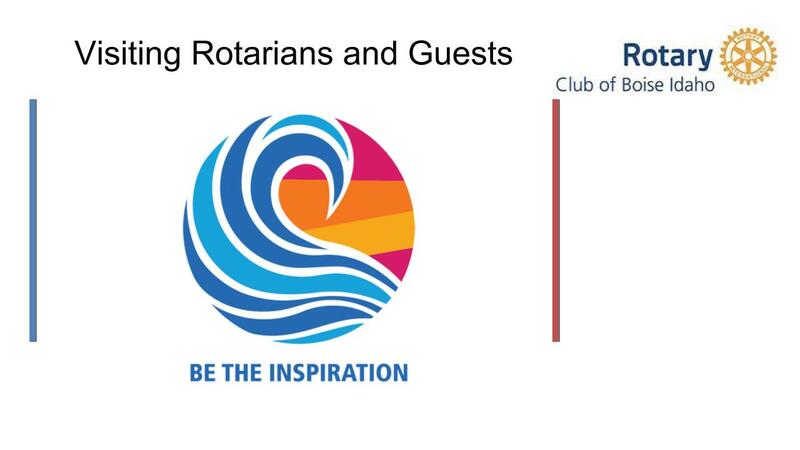 2/14 Kevin Allen will be leading a club assembly. 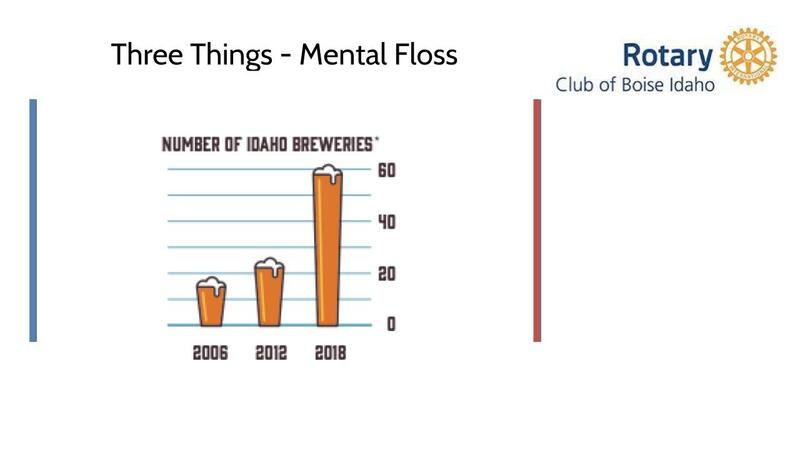 Fred Reed: Thank you to all the brewers and sponsors – we couldn’t do it without them. 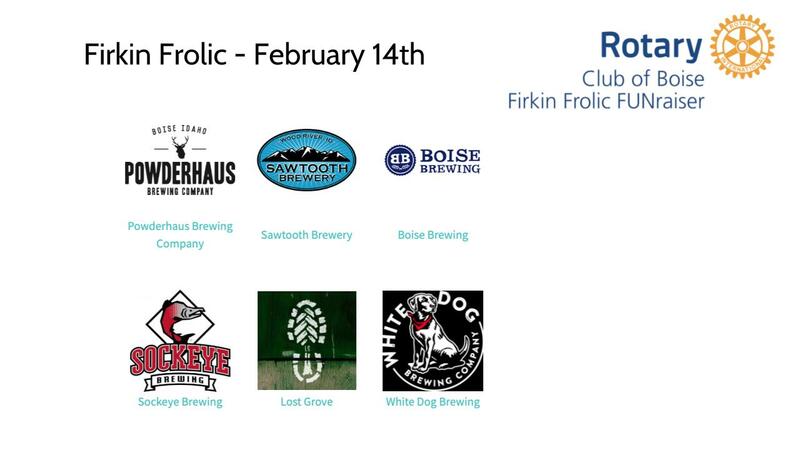 Some of our brewers have been with us since the beginning and we really appreciate their support. 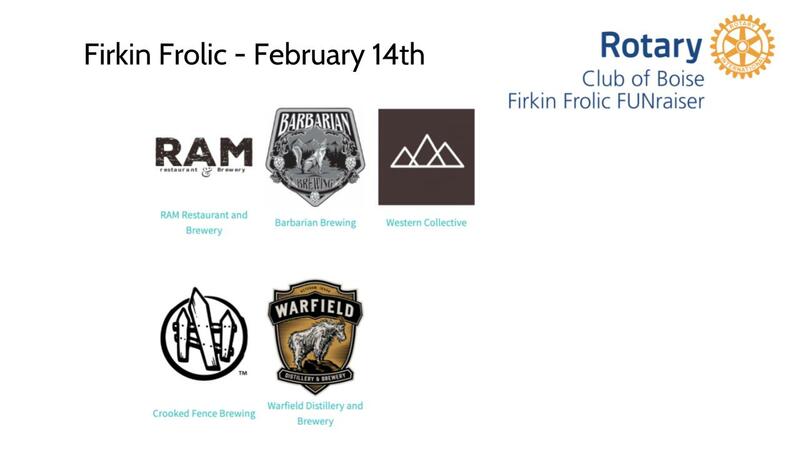 We will have 11 brewers this year – the most yet. 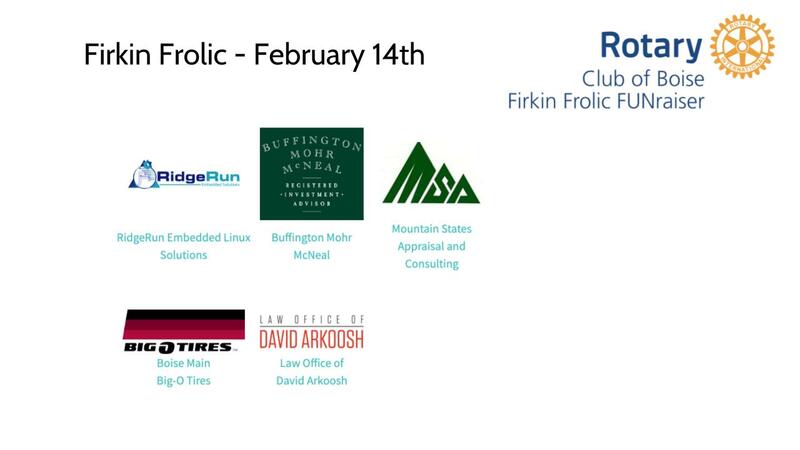 It’s nice that Fred raises that money, because Todd Fisher enjoys spending it! 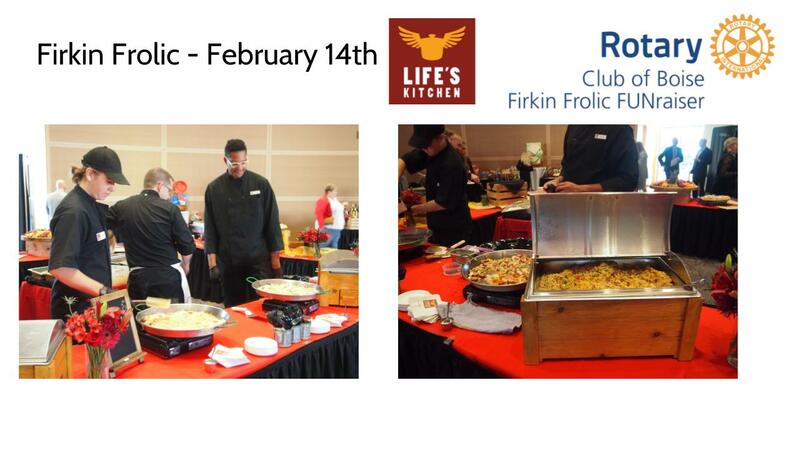 One of the programs we supported last year was Life’s Kitchen. 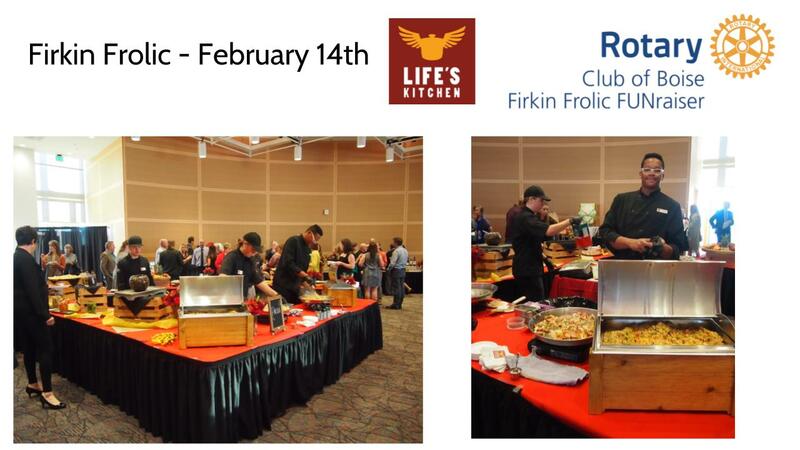 Life’s Kitchen has a full-service catering business – they have up to 50 students in the life’s kitchen program, working in the catering business, ages 16 to 20, and all at-risk youth. Some have mental health challenges, foster care history, or juvenile detention. Some have chosen not to attend high school, so Life’s Kitchen offers a GED. They aim to be a full-service job and life training program. They have a café as well. 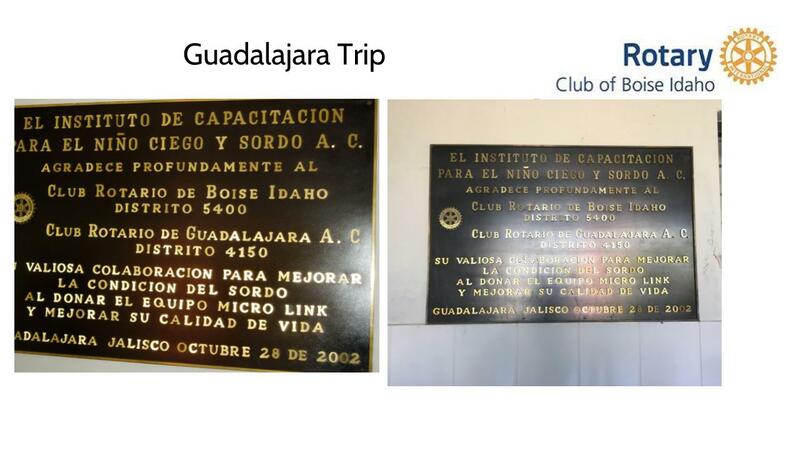 The program is free for the students, so our club’s support helps provide the opportunity to more students. Dirk is 200 (pesos) happy for Kevin for inviting him to Mexico and everyone else that made the trip happen. 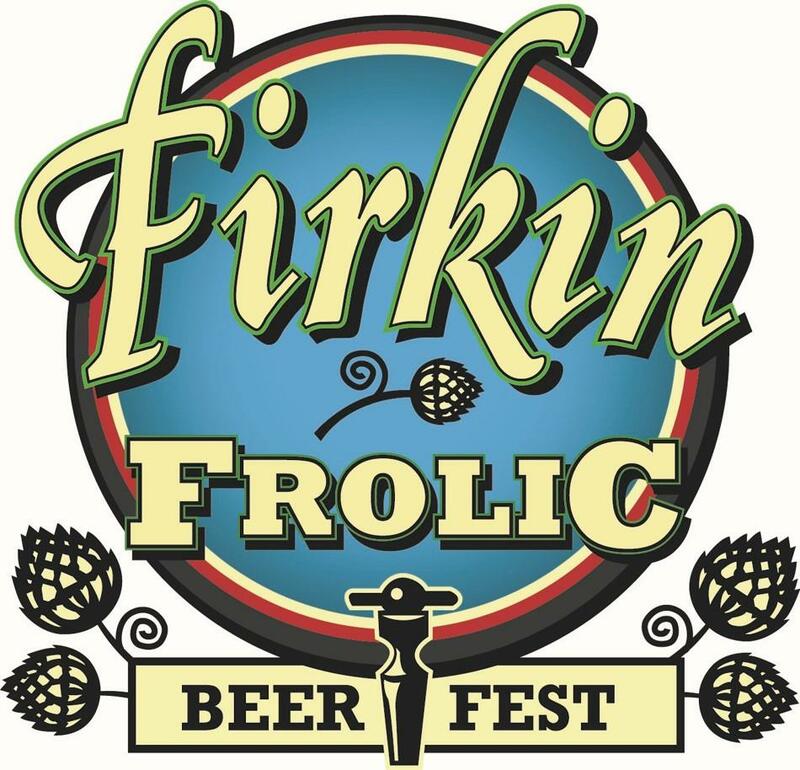 Tyson Cardon (Sockeye Brewing) helped with the Firkin committee last year and it landed him a job at Sockeye. He appreciates the club putting on the program and is glad to be involved again. Bea Black is $11 happy – one for each of the breweries. If no one has tried it, there is a beer called “Hef One with Bea” at Lost Grove, which is brewed in Bea’s honor. Bea is $20 happy to tell us where the brewery is. It’s at 1026 S. LaPointe, behind the Boise Bicycle Project. Marianne Barker is 400 pesos happy. What happens in Mexico may stay in Mexico – but El Presidente was also known by the locals as “El Guapo” – “handsome man.” Dirk threw in another couple hundred happy pesos, because the locals did try to set him up with local women several times. He’s sure if he goes back he could come home engaged several times over! Andy Erstad doesn’t have any money to give because his middle son got into U. Washington medical school. Andy is especially proud that he is a product of the Boise schools and The College of Idaho. Mary Monroe is happy to retire after 40 years at Wells Fargo. Kevin Learned is 400 pesos happy. He learned on this trip that you should not put your water bottle in your back pocket. 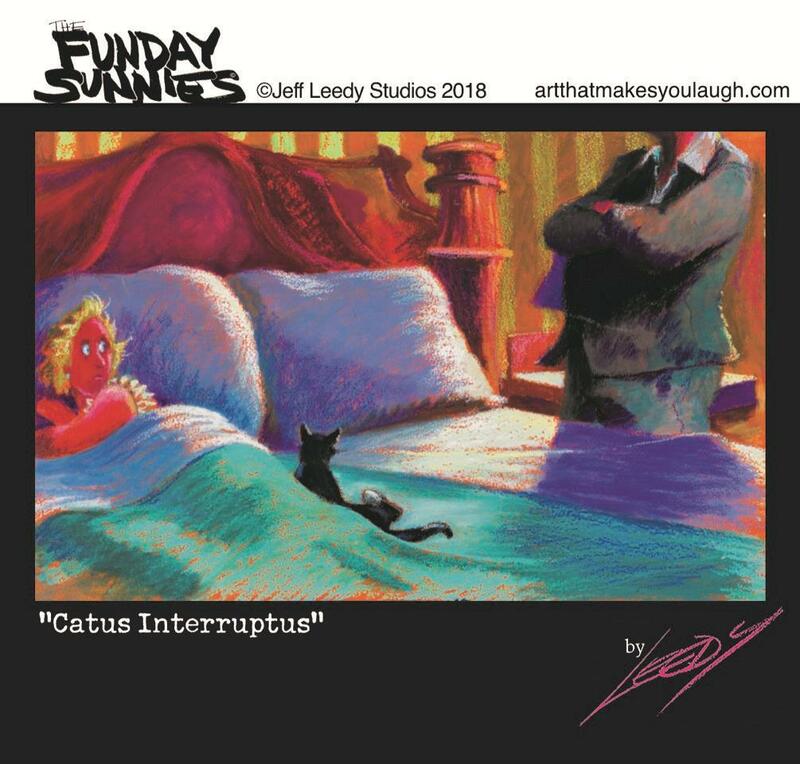 There’s a story there, so stay tuned and you might hear it. Karl Kurtz is $20 happy because he went to the Ada County Courthouse last week for the induction ceremony of local officials. It was good to see Bob McQuade and Beth Mahn be inducted into their offices. Dirk introduced John Cunningham from Block 22. Dirk explained that John invited him to lunch at Rotary back when Dirk couldn’t afford his own lunch. John invited him to come to lunch at the club and Dirk decided to join. 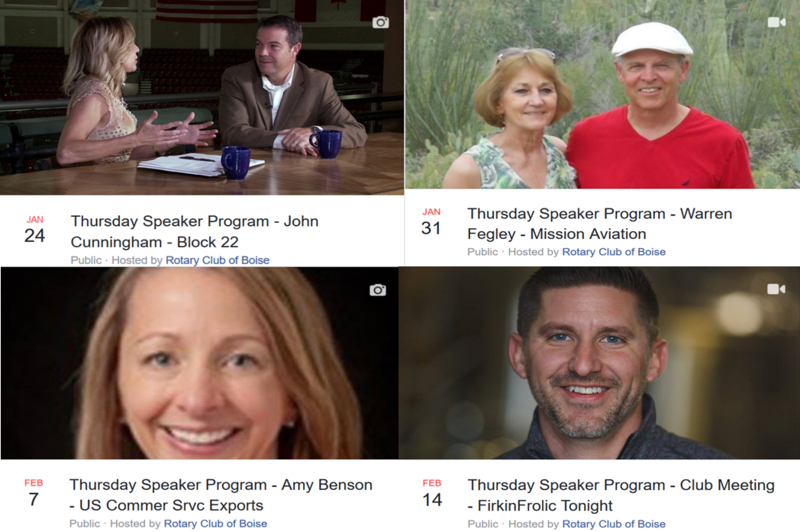 John has traveled around a lot, but is back in Boise now and working for Block 22. John is a Providence, RI native. He has an accounting major from Bryant U. He started as an auditor but discovered no one really wants to see or work with an auditor. So, he got a job as an intern for the Boise Hawks starting in 1992 and then worked for Bridgeport (an AHL hockey team). He was the CenturyLink Arena and Steelheads general manager for about five years, then two years working for the Portland Timbers and Beavers (AAA baseball). Portland was difficult for he and his family, so they came back to Boise and now works for Block 22, which works in hotels, arenas, and sports teams. Block 22 got its name from a plat map naming the block on which CenturyLink Area sits as Block 22. Block 22 is owned by AJ Balukoff and a Simplot Trust headed by Scott Simplot. Diamond Sports (Steve Appleton) sold his interest prior to his death. 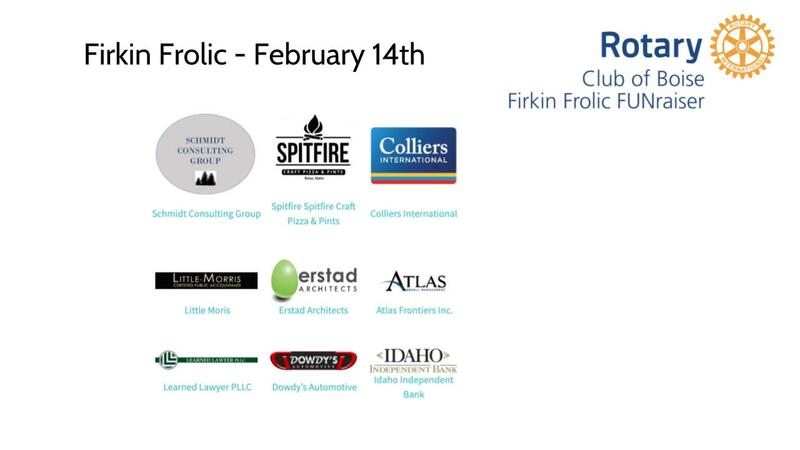 The company owns CenturyLink Arena, The Grove, the Steelheads, Courtyard Marriott, Hotel 43, Front Street Fights, Trillium Restaurant, a Blimpie’s franchise, and Grove Fitness. The company has 526 hotel rooms, $30 million in annual revenues ($25M of which comes from the hotels), and employs over 500 people. They welcome 350,000 people to downtown Boise annually. The company’s downtown hotels are independent of any of the major chain hotels, and their locations near the convention center have made them a leading convention destination. One helpful aspect of the multiple companies is to spread overhead costs over the multiple entities. Hotel 43 is a 112-room boutique hotel and hosts Chandler’s restaurant. The Courtyard is on Broadway by Larsen Park. It is 163 rooms and is part of the Marriott family. The Courtyard is tied into their reservation system. Because the Courtyard project has worked well with Marriott, the company did consider joining a national brand with the other hotels but has declined to do so for now. The Grove Hotel has 250 guestrooms and 12,000 square feet. It is only one of two AAA four diamond hotels here. The Grove recently renovated the lobby and restaurant for the first time in 20 years, and rebranded the restaurant as Trillium, which serves the whole hotel. Block 22 is constantly evaluating the hospitality landscape in Idaho to ensure the company is well-positioned for success. Thus, they are always considering opportunities including whether to join a national brand, expand at the current footprint, or begin new building projects. The Steelheads: The NHL is the major league level of professional hockey. The American Hockey League is the top minor-league system that feeds players to the NHL. The ECHL is at the next level, and supplies players to the AHL. The Steelheads are currently affiliated with the Dallas Stars. The Steelheads get to hire their own coach, who then does his own scouting and hiring. He’s a one-man band. Teams in the ECHL are all over the country. Original it was the East Coast Hockey League and the Steelheads were in the West Coast Hockey League, but the Leagues merged. Most of the teams are in the east and Midwest, so the Steelheads must fly to get to their games. It is a bit of an economic disadvantage compared to the other teams in the league, who are near their competition and can bus. The Steelheads have the longest playoff streak in professional hockey, having been in the playoffs every year. It’s a tribute to the hard work of the coach, who must build a new team every year. We’ve had 26 players go from the Steelheads to the NHL. They’ve averaged over 4000 fans per game and 41 wins per season. And they’ve earned two Kelly Cup Championships (the ECHL championship cup). There are 20 roster spots and they are only allowed 4 veterans with a salary cap of $13,000/wk. AHL players count at $525/week. The max salary is $1300/wk, but the Steelheads maximum player is $800/wk. It’s not a lot of money and a lot of abuse. The minimum is $470/wk for rookies and $510/vets. They get housing in Columbia Village (furnished with old hotel furniture). The players love Boise because it is such a great community. The team provides utilities, health insurance, a $40/day per diem when on the road, travel in and out of Boise, moving expenses, and their equipment. Many players have stayed in the community having developed roots here. CenturyLink Arena: More than 300,000 fans at over 100 events per year. They get calls from people wanting to pay their CenturyLink bill, but the company just purchased naming rights. The arena does not cash flow on an annual basis – it does lose a bit of money – but it really helps downtown. Uses include ice rentals; corporate, political, and religious meetings; sporting events and tournaments; and concerts. Lately, they are working to bring events that will drive tourist traffic to the hotels and the other downtown service businesses. BSU played Idaho in basketball as a “neutral” site at the arena. They’ve hosted concerts like The Cure, arena football with the Boise Burn, and basketball with the Stampede. They host circuses, flower shows, motocross events, Jaialdi sports night, fitness expos, religious conferences, and MMA fights. Bellator (an MMA fighting group) and UFC have both come to Boise to produce world-wide televised events. The Big Sky tournament will be here in March, just before the NCAA tournament. What might the Seattle expansion NHL team mean? Seattle has visited here and may be interested in aligning with the Steelheads.